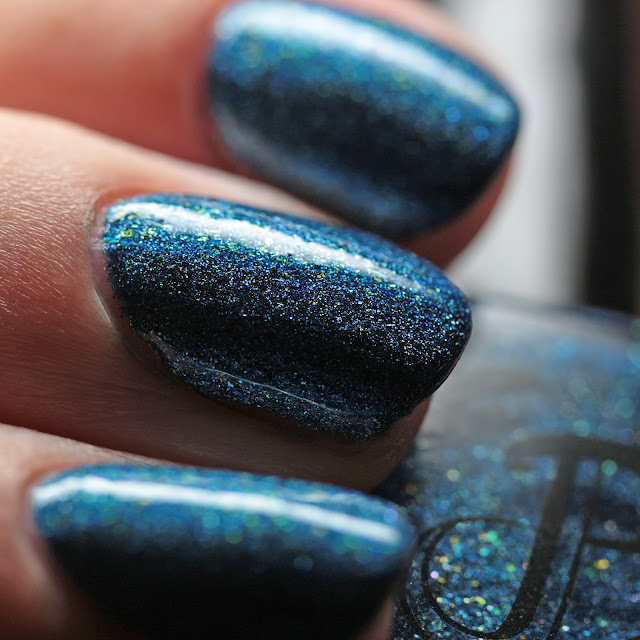 Pretty Jelly Nail Polish is once again a contributor to the Polish Pickup! This is a monthly indie collaboration in which a variety of makers produce polishes on a given theme. You can pick and chose what you pre-order and there is no stress or risk of sellout. I love it, but let's be honest, it costs me a lot of money each month because I can't resist! 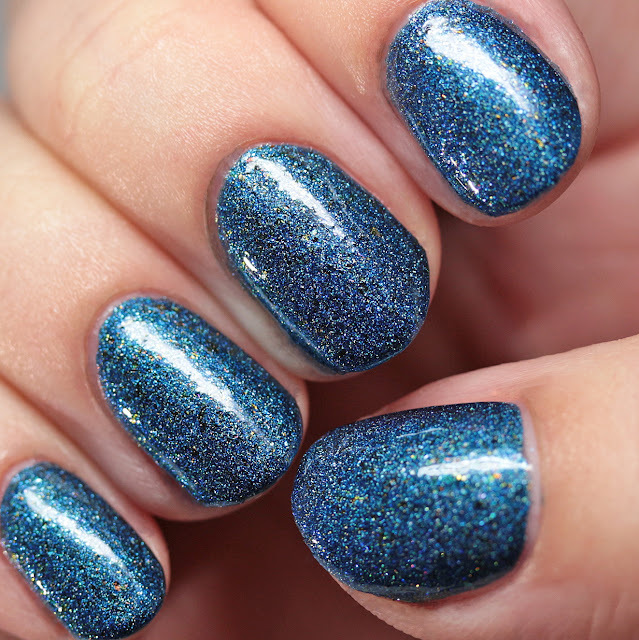 This month the Polish Pickup theme is Old Hollywood. 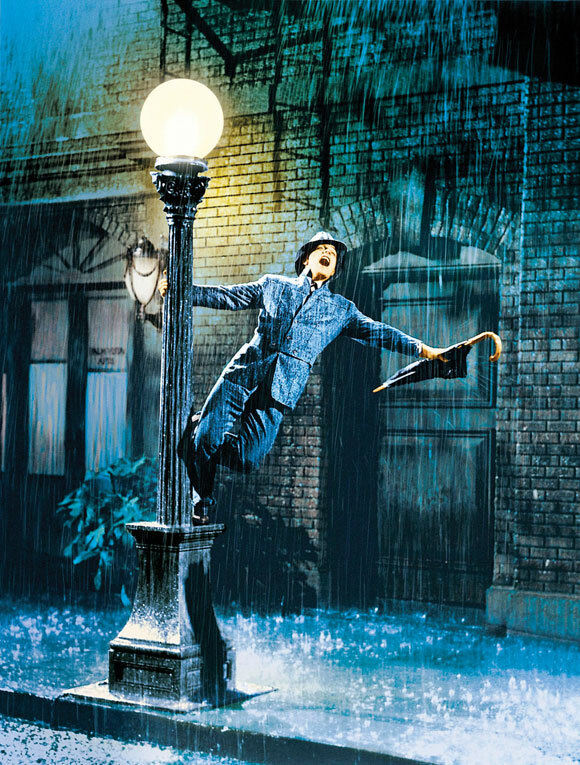 Liz chose Singin' in the Rain as her inspiration and beautifully channeled this inspiration pic filled with rich blues and yellow/green. Pretty Jelly Nail Polish Singin' in the Rain is a light navy blue strong scattered holo with gold/green multichrome flakes. It covers nicely in two thin coats and has a perfect formula. I love the intensity of this! 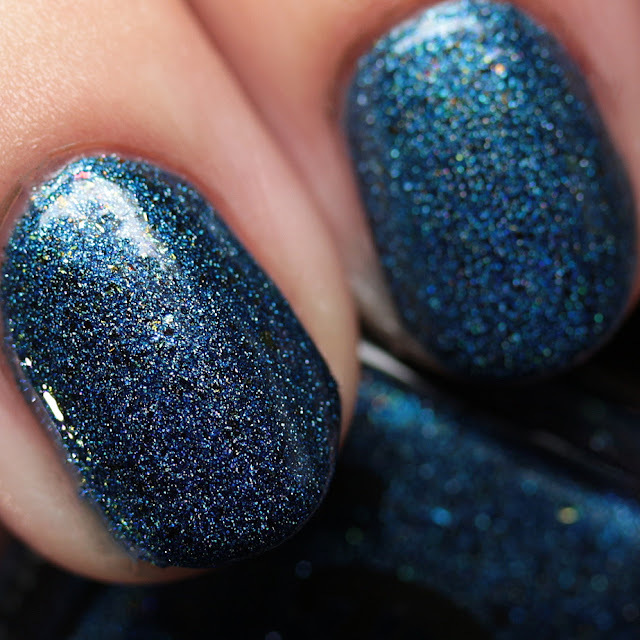 This polish will be available for pre-order from August 4 to 7 at Polish Pickup. If you are a blue lover, you might want to be sure to not miss out! 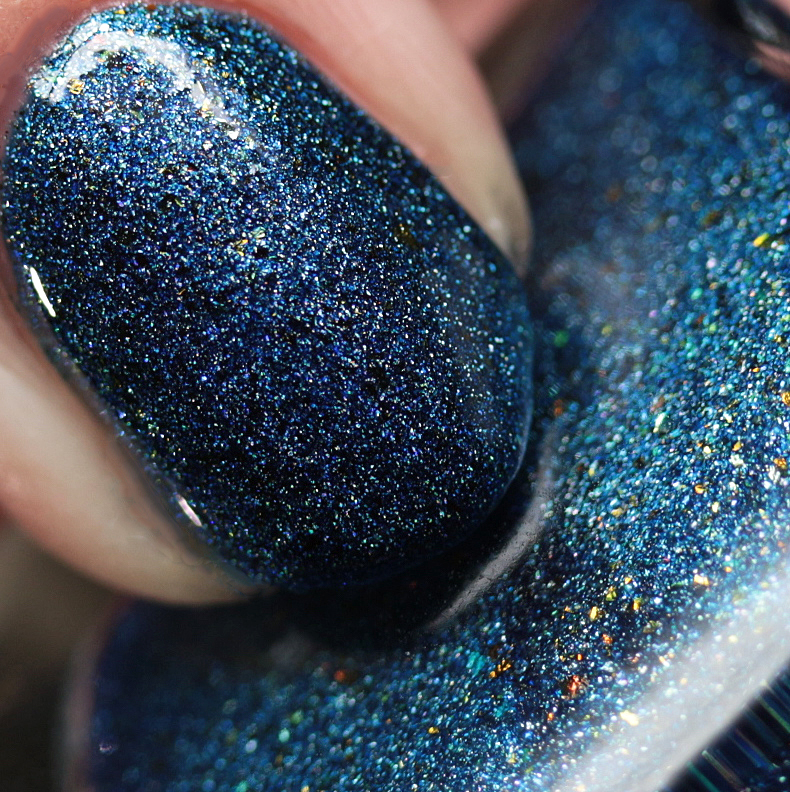 How poor is the Polish Pickup going to make you this month?